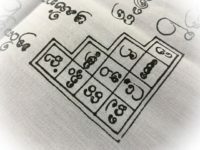 The Takrut Sam Kasat Dtamrap Boran Wat Weluwan, is released through Pra Kroo Palad Winai Udtamo, Abbot of the temple of Wat Weluwan in Patum Thani. 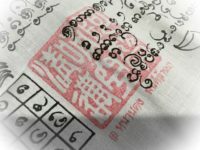 The Takrut Sam Kasat Boran is made using the ancient formulas from the Grimoires of Wat Weluwan. 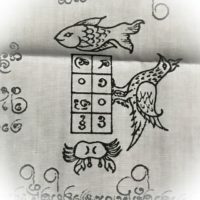 The Wicha uses the Sacred Yant Dork Mai Sawan for the empowerment, which uses a formula of three separate Yant, one three different metallic surfaces; Nak (Bronze or Copper), Ngern (Silver or Lead), Tong (Gold or Brass). 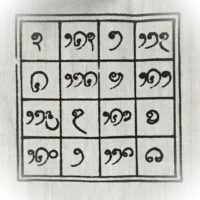 The three Yant are inscribed separately each with their own Incantations and formula of Inscriptions, and bound together into one Wicha, which is then known as the Wicha Takrut Sam Kasat (3 Kings), or, also sometimes called the Takrut Sam Kasat Dork Mai Sawan. Apart from wearing the Takrut, it is also a recommended option to place it in your place of business, to attract success and prosperity. Luang Por Pra Kroo Palad Winay is the abbot of Wat Weluwan, which is a large temple of National Importance, in Nakorn Pathom. 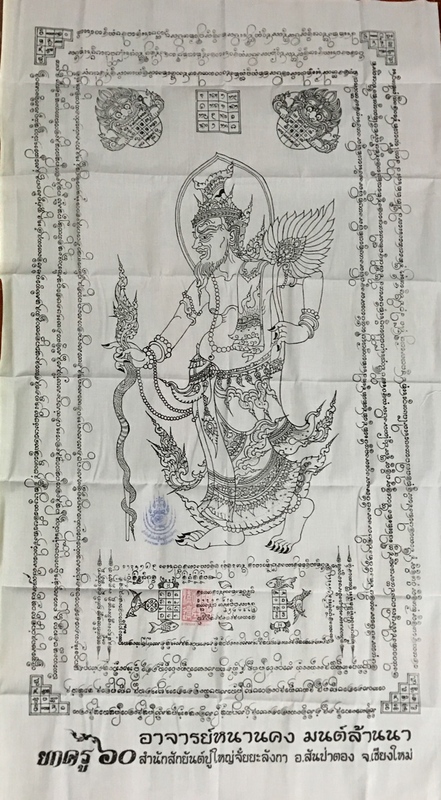 Although Luang Por Winai is still young, aged about 50 years old (written in 2017), he has attained many merits advancing and developing the temple facilities and has helped a large number of ancilliary charitable projects. In his own practice he has attained Brian Nak Tam Aek Master Degree in Dhamma, and is a revered monk of the municipality with a large number of Devotees. The Takrut composes a Wicha of three different Yant inscriptions on three different metallic foils. 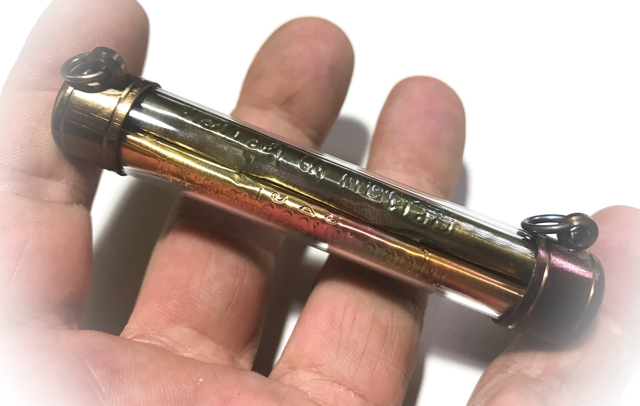 The first Yant is inscribed on a silver foil, and is focused on Chai Chana Magic for Victory, with the Maha Amnaj Commanding Power of the Buddha Dhamma, with inflected Metta and Lap Phon for successful ventures and merciful treatment from superiors. 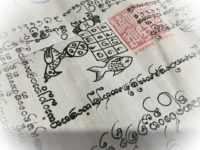 This Yant invokes the spell of Pra Puttang Metta Laapa.The words ‘Dork Mai Sawan’ mean means ‘Heaven’s Flower’ , and is orientated for popularity, mercy charm, success and prosperity, improving the Karma of the devotee. 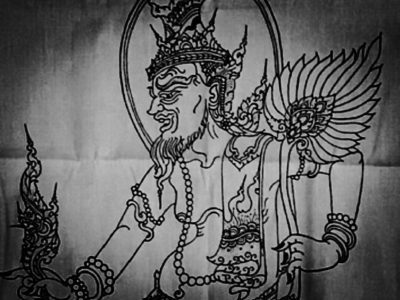 Pra Kroo Palad Winai created the Takrut to lessen the sufferings of the devotees, and to protect them from all dangers, and to bring them the successes in worldly advancements. 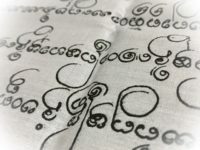 The Second Yant is inscribed on a golden foil, and contains the ‘Bot Bpi’ which is the second passage of the Kampir Radtana Mala Grimoire, which is said to be the King of Metta Maha SanaehYantra Spells . 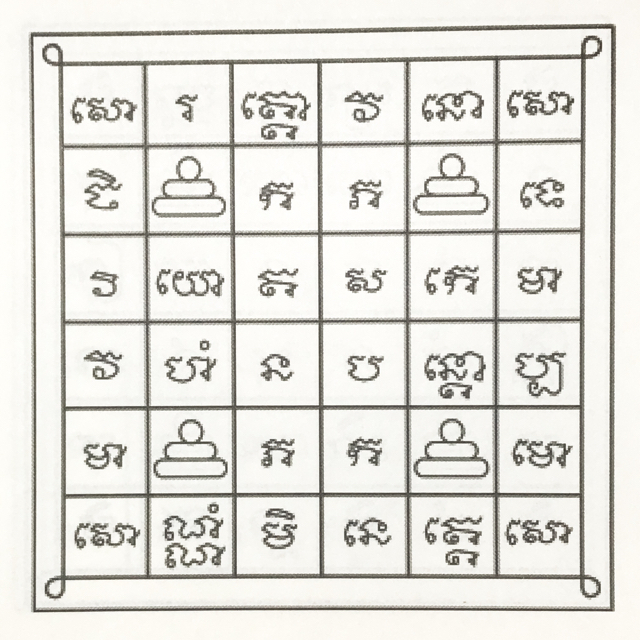 This Yant is the Yant Kroo Keystone Yantra of the Wicha Dork Mai sawan. 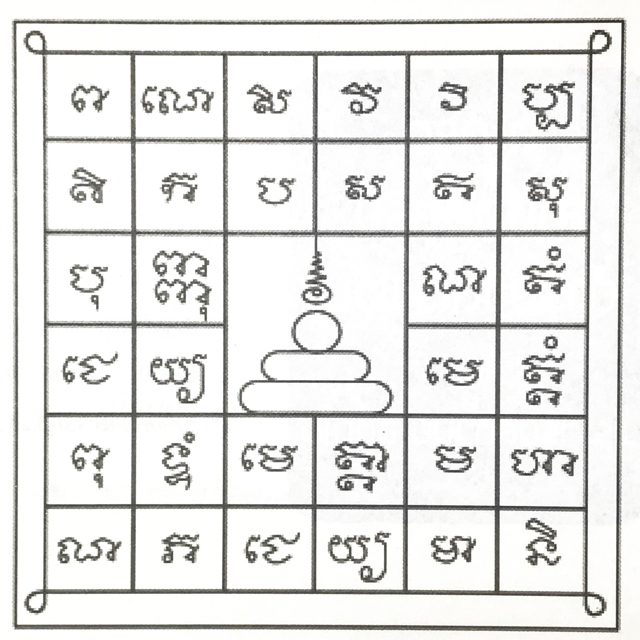 It isd imbued with immense Metta Maha Sanaeh, invoked through the Kata Hua Jai ‘Bpiyõ Tēwa Manussānang’. 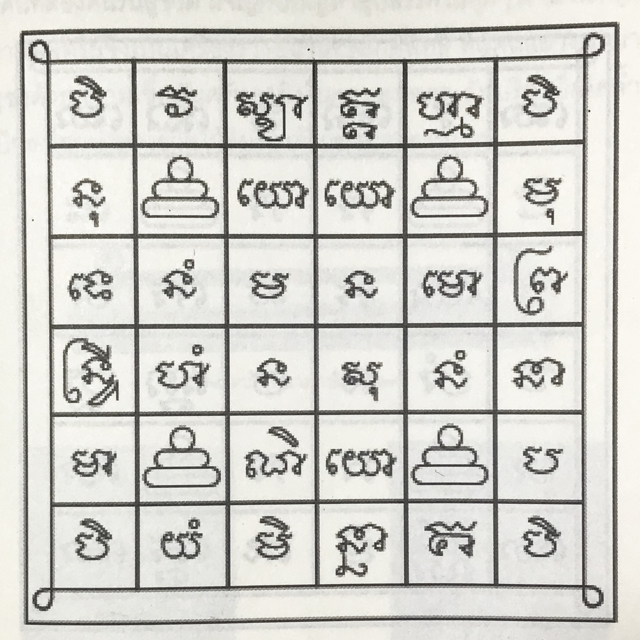 The Third Yant is inscribed on a bronze or copper foil, and invokes the Bot Sō, which is a Puttakun Passage within the Kampir Idtipiso Radtana Mala Grimoire. This Yant possesses the power to dispel all Sadness, Stress, Ease Suffering, and Protect from Deadly Dangers. The Takrut is hence immensely fittiing for the present age, where most people have to work hard and struggle to get ahead. 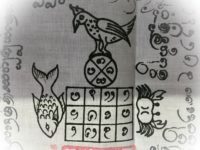 The Takrut is a ‘Koo Cheewit’ type of amulet, to wear and Bucha constantly throughout one’s life to bring health, wealth, success and happiness. 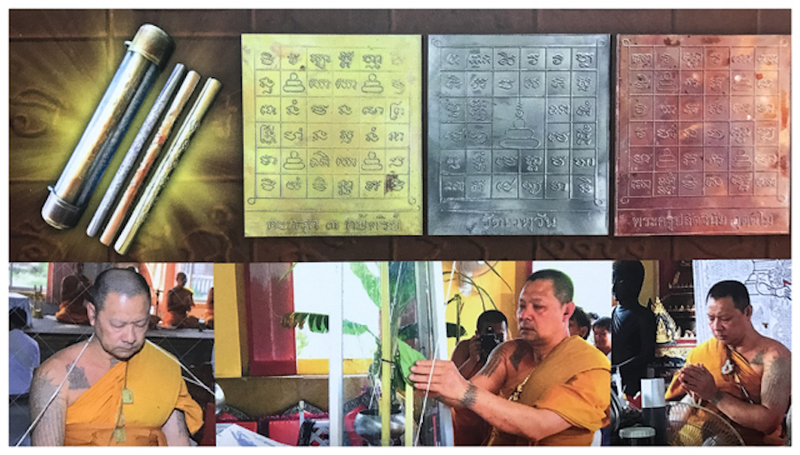 This edition was made to raise funds to finance the building of Kuti (monks residence rooms) for the Sangha at Wat Weluwan. 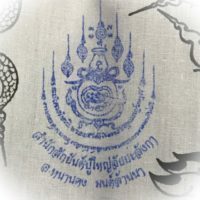 The Takrut has two pendant hoops attached for wearing either on a pendant chain, or preferably, a ‘Chueak Kart Aew’ waist cord belt. 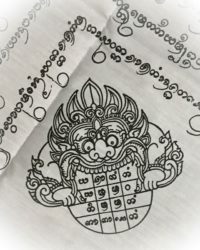 Wearing the Takrut on a Chueak Kart Aew waist cord, allows you to apply the Wicha maha Ruud, to invoke various powers, dependent on which of the four possible positions you slide the Takrut around the waist cord on, to face forward, right side, left side, or rear. Wear on a cord around your waist feeding the cord through the two rings of the tube which the Takrut is in. You can slide the Takrut to reside on either side, front or back. Chant the Kata Plug (Invocation of the power of the Takrut) as often as possible. 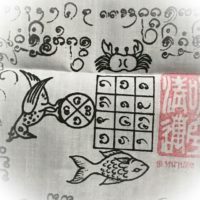 The Takrut performs many uses Metta Mahaniyom. The Devas protect and guard over you, safe from danger. Wealth and treasures flow to you and increase greatly.